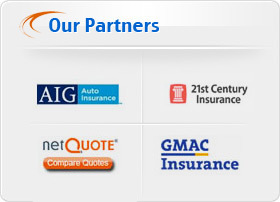 Auto Owners car insurance company offers special discounts for eligible drivers. Some drivers can qualify for more than one discount at a time. A standard discount is offered for drivers with excellent driving histories, but there are other ways to save with Auto Owners insurance as well. If you install any form of extra theft protection for your vehicle, you could qualify for a discount with Auto Owners insurance company. Something as simple as a steering wheel lock will make your car a less desirable target for a car thief. Electronic tracking devices and alarm systems are even more reliable ways to protect your car against theft or vandalism. When your car is safer, you have a lower risk of making a claim with your insurance company. That risk reduction earns you a discount on your regular insurance premium. Most cars that have been manufactured in the last ten years come equipped with advanced safety features as part of their standard packages. If you own a car that has anti-lock brakes or driver and passenger airbags, you will qualify for a special safe car discount through Auto Owners insurance. If you car is older, you can earn your safety discount by having these features installed after market. 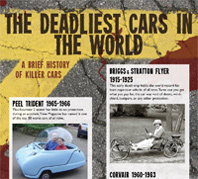 The safer your car is, the less severe injuries will be if you are in an accident. Let your agent know if you make any safety modifications so you can be credited on your policy. High school and college students who maintain a B average can receive a good student discount through Auto Owners insurance. Keeping your grades up shows you have a steady sense of responsibility and you are careful with your priorities. Those characteristics usually translate to a more responsible style of driving. Auto Owners believes that if you will take the time to get good grades, you will make an effort to avoid reckless behavior behind the wheel. That reduced risk of being involved in an accident earns you a nice discount on your insurance. Drivers who choose to pay their insurance premium in one lump sum every 12 months will also earn a discount through Auto Owners. Making a single payment eliminates the need for extra paperwork processing throughout the year. It also ensures your policy will be fully current at all times. You will have the extra peace of mind knowing that you do not have to make any more payments for a year, while the insurance company will be able to reduce the amount of administrative costs related to your car insurance account. Many college students attend school in a city that is far away from their homes. When they go off to college, they will probably leave their car behind. That means their car insurance rates will be substantially lower while they are attending college. Since the car will only be driven a few months of the year, the risk of it being involved in an accident is greatly reduced. Auto Owners offers a low mileage discount for any driver who does not drive for the majority of the year because the chances of those drivers filing a claim are very slim. If you regularly drive a company car, you could earn a discount on your Auto Owners insurance policy. Company cars are generally well maintained by the company that owns them. Since they are important for the company's business, the company will make sure they are always running well. When you drive a company car, you will probably not use it outside of regular business hours. That reduces the number of miles you drive annually, which can also earn you a discount. Auto Owners offers a special discount for companies and employees who drive company cars on a regular basis. Senior citizens generally have a wealth of experience behind the wheel. Auto Owners insurance company honors that experience by offering a special discount to older drivers. Seniors who are willing to complete a safe driving class can earn a substantial discount on their car insurance premiums. The driving class offers a good opportunity for a refresher on defensive driving techniques. It is possible for older drivers to fall into bad habits after years of driving. The course helps break those habits and proves the driver is still safe behind the wheel. Older drivers pay less because of their level of driving expertise.